A child can be a baby, a toddler or even a teenager, but given her young years, the law determines that she is not able to make her own decisions or take care of her own interests. That's why kids need guardians. Parents are the natural guardians of their children and, in fact, have a legal duty to provide support, including financial support. But sometimes the system doesn't work as planned, and children need another adult providing their care and overseeing their lives. This is the role of a legal guardianship. A legal guardianship is when someone other than a child's parent has legal custody over a child and makes the decisions about the child's life. This could be because parents die, or it could be because they are not competent to care for her. The guardian steps into the parental role, making choices for the child and taking over responsibility for her. Guardianship is very different from temporary caregiving. When parents transfer custody of children to a caregiver, it is a temporary situation. It may be for the afternoon, the week or even the month. But legal guardianship is not temporary. It is much more durable and usually lasts until the child is 18 years old. Legal guardians can take over custody without termination of parental rights. In fact, most legal guardianship arrangements are set up by caregivers who are family members. Their intent is to provide a stable and permanent home for a child whose parents cannot take care of them, allowing the child to retain her relationships with extended family members without a termination of parental rights. A voluntary guardianship of a child happens when parents are unable to care for their children and they voluntarily arrange for family members or friends to care for them. This often happens by parents giving guardianship to grandparents of the child. This can begin as an informal, temporary guardianship without court approval and evolve into a more formal guardianship arrangement. Before you agree to be the guardian of a child, you need to understand the responsibilities you are taking on. If you obtain legal guardianship of a child, you will make all of the decisions about that child's living arrangements just like you would if you were a parent with sole legal and physical custody. It is for a legal guardian to determine where the child will live and where she goes to school. Like a parent, you are legally obligated to address the child's medical and dental issues. As guardian, you can permit the child's parents to visit the child, but how often and how long these visits should be is up to you. 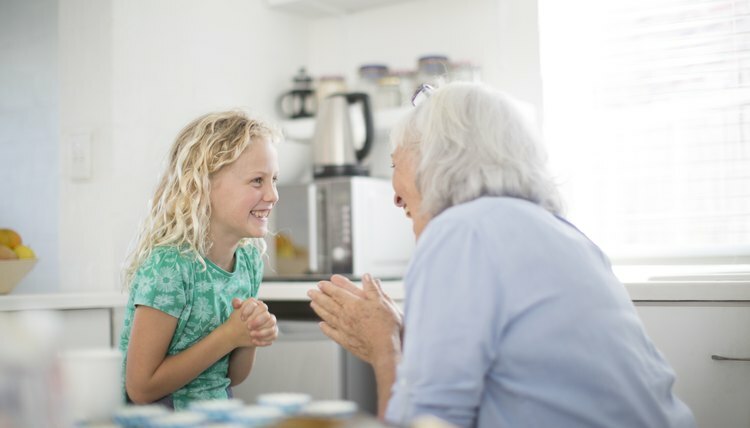 You cannot allow the child to return to her parents' home to live unless the court determines that the parents are able to care for her and dissolves the guardianship. Nor can you allow her to live with anyone else, although she can stay with other people for brief periods of time. Her actual primary residence must be with you. You will have reporting requirements to the court if you are the legal guardian. These will depend on the jurisdiction in which you live. You may be required to have meetings with court investigators or social workers sent by the court. The court may also require you to take on other duties. Like a child's parents, a legal guardian is legally responsible to third parties for damage done by the child's acts, intentional and negligent. To that end, you may decide to give or not to give the child permission to get a driver's license when she is old enough. If you do allow her to drive, you must get car insurance that covers her. You may also give the child permission to marry or enlist in the military. If and when these events happen, the guardianship is over in most states, and the child is considered an adult. If the parents of a child recognize that they cannot look after her, they may ask a family member or trusted friend to step in as guardian. If this person is you, you must follow legal procedure in your jurisdiction. If one of both parents of the child disagree, you have an even higher burden of proof. Generally, voluntary guardianship of a child happens in probate court through the minor guardianship process. Involuntary guardianship of a child occurs through the legal guardianship procedure. In order to become a child's legal guardian, you must fill out and file forms with the court. While you don't have to have an attorney, both the forms and the procedures can be complicated. It is certainly easier to have an attorney assisting you, and it may be necessary if one or both parents object to the guardianship. Be sure you know if you are agreeing to be guardian of the person with responsibility for the child's care, or guardian of the estate, responsible for managing the child's money and assets until she is an adult. As an illustration of the effort it takes to be appointed guardian, look at the forms you must file in California. These include Petition for Appointment of Guardian of the Person or Petition for Appointment of Guardian of Minor, depending on whether you are seeking to be guardian of the person only, or also guardian of the estate. You'll also need the Guardianship Petition – Child Information Attachment, as well as the Notice of Hearing – Guardianship or Conservatorship; the Consent of Proposed Guardian; and the Nomination of Guardian, Consent to Appointment of Guardian and Waiver of Notice. There are also forms called the Duties of Guardian; the Letters of Guardianship; the Declaration Under Uniform Child Custody Jurisdiction and Enforcement Act; the Confidential Guardian Screening Form; and the Order Appointing Guardian or Extending Guardianship of the Person. After you fill out all of the forms required in your jurisdiction, have them reviewed by the family law facilitator or an attorney, make copies as required by the court, then file them with the court clerk. After that, in many states, you must give notice to certain people, relatives and agencies. This requires that those people be served with legal notice in a way acceptable under the law. Follow the law of your jurisdiction carefully or you'll have to start all over. Each state has its own notice requirements but usually you must give personal notice to the parents, anyone with legal custody, the grandparents and siblings. You must get a proof of service affidavit from whomever personally serves those people. You'll also want to get those relatives who agree to the guardianship to sign a consent form. In many states you will need an investigative report about you and your fitness to be a guardian. You will have to answer questions about where the child will live and go to school, as well as how visitation by the parents will occur. After all this is done, you will have to go with the child to a court hearing. The court may ask you questions, and anyone opposing the guardianship will have a chance to speak. The court will usually order a guardianship and appoint you guardian if both parents agree. If only one or neither agrees, the court usually will require proof that staying with the parent or parents will be detrimental to the child and that the guardianship is in the child's best interests. If the court agrees that you can be the guardian, it will sign the order appointing you and issue Letters of Guardianship. File these with the clerk's office. Spengler, Teo. "How to Obtain Legal Guardianship of a Child." , https://legalbeagle.com/6308348-obtain-legal-guardianship-child.html. 19 October 2018.